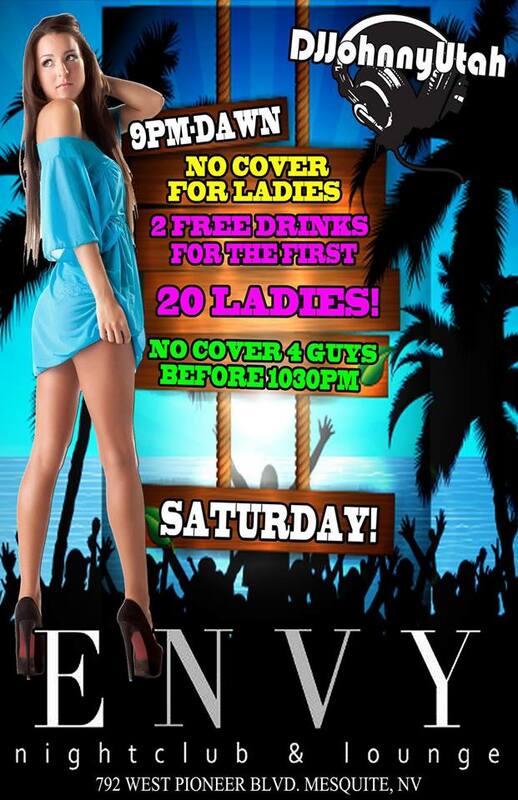 ~*~ SATURDAY NIGHT~*~ DJ Johnny Utah ~*~ Mixing the best Top 40 / Hip Hop / dance music all night so get ready to dance and Party until dawn with ENVY Nightclub and Lounge! Southern Utah’s/Mesquite’s premier Nightclub and Hookah lounge. Free before 10:30 NO LAST CALL or PESKY UTAH restrictions! 21+. LADIES FREE ALL NIGHT and 1st 20 get 2 free cocktails! !